There she is! It's been a while! 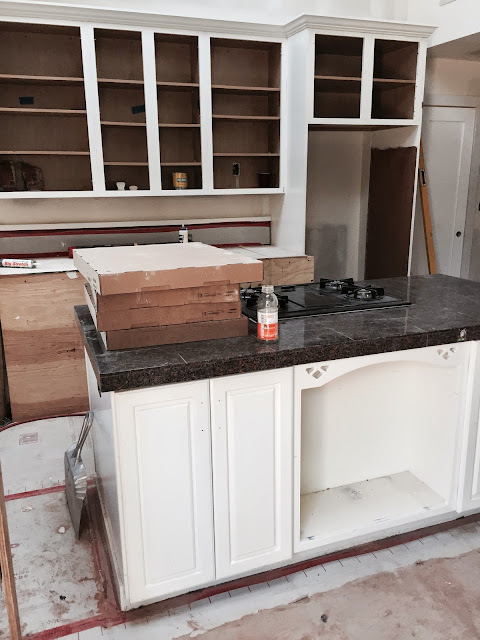 Did I mention I want to get the new countertops for the kitchen now? And cut out this last remaining country details and add custom doors that match the rest to this weird nook now? Didn't think our scope could creep much more. 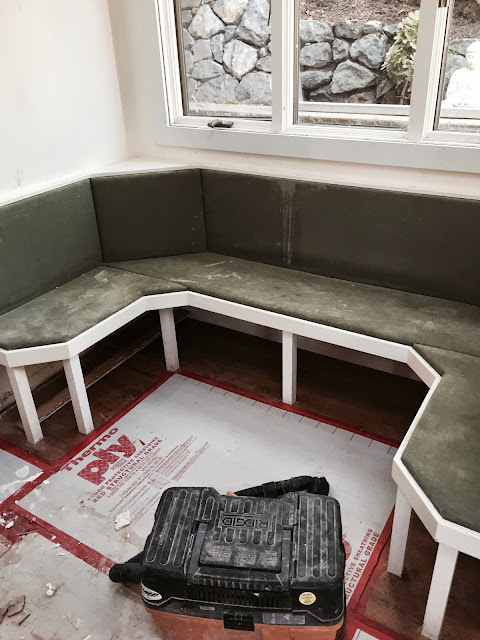 So much for the breakfast nook upholstery. Six months under cover has left it moldy and unusable. That's ok, I wanted to check it up anyway.